All entries must be original work and NOT based on any pre-existing design. The logo may include any combination of colours. The logo may include text that is easy to read. The logo should be designed in A4 size and high resolution (300 pixels). The logo design must be simple, neat and attractive. The logo must adapt well to electronic and printed media. The submission must include a brief description on the meaning, theme, design and choice of colour(s). 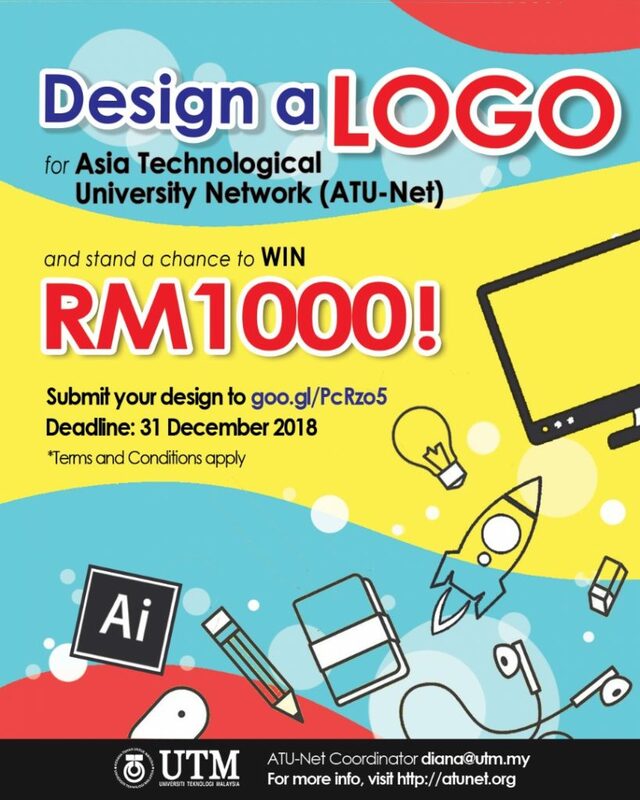 The logo must be submitted in vector format (pdf or ai) in 3 modes of colour: RGB, CMYK, and Grayscale. ATU-Net Secretariat reserves the right to cancel, terminate, modify or suspend the competition at any time. This includes the right to not select a winner if, in its sole discretion, no suitable entries are received. All entries submitted as part of the competition becomes the property of the ATU-Net Secretariat. The secretariat may use the entry or elements of the entry for advertising campaigns and/or marketing materials in the future and may alter, modify or revise the entry as it sees necessary.